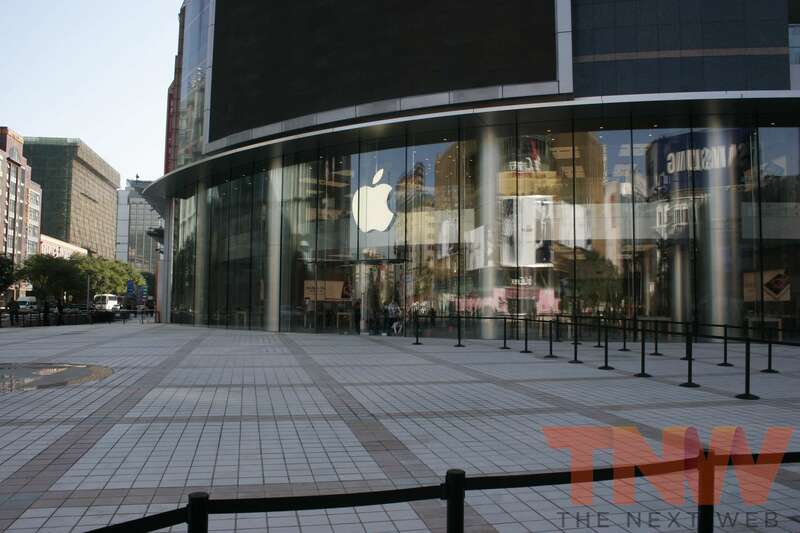 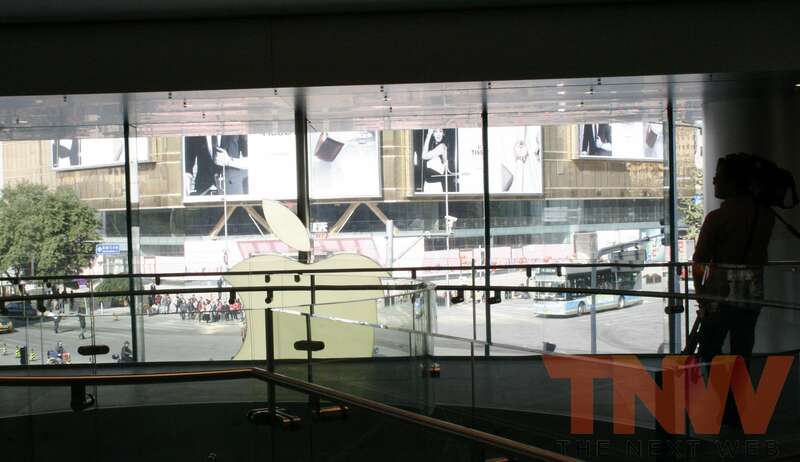 Apple is gearing up to open its third store in Beijing on the famous Wangfujing shopping street. 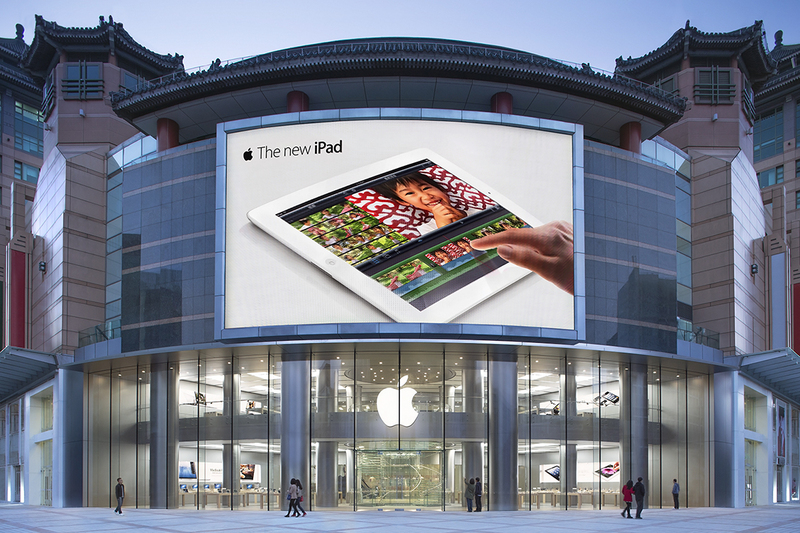 Taking the title as the largest store in Asia, the three-story location demonstrates Apple’s heavy investment to court the Chinese market. 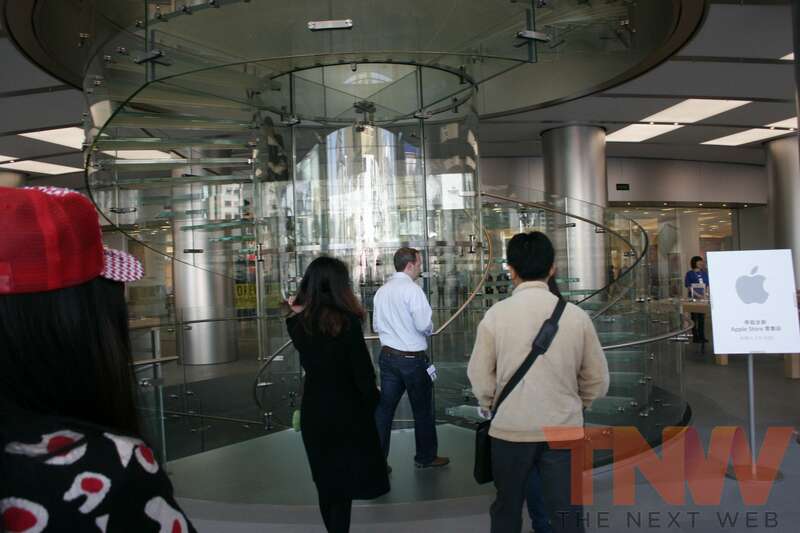 The Next Web (in conjunction with the Beijinger) attended a media preview on Thursday where Apple Senior Vice President John Browett discussed the company’s commitment to China. 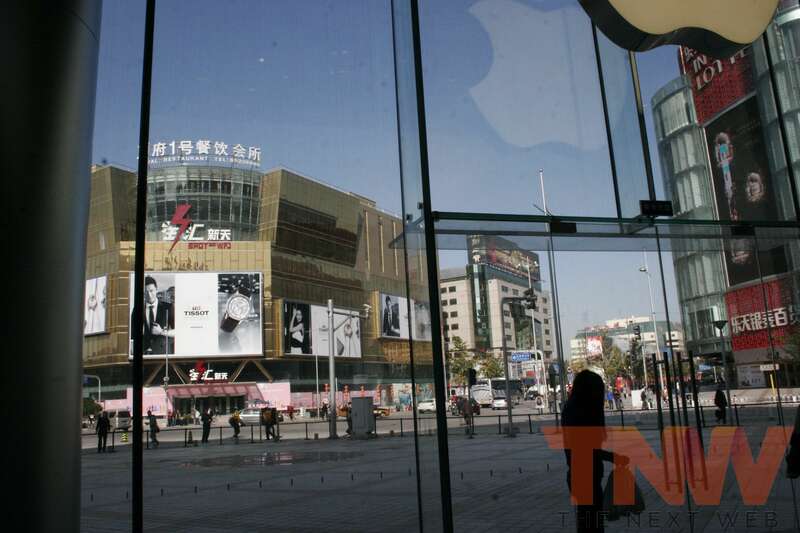 He recounted a personal anecdote about the first time he came to China in 1986 as a student and stood on the same corner where the new Wangfujing store is located. 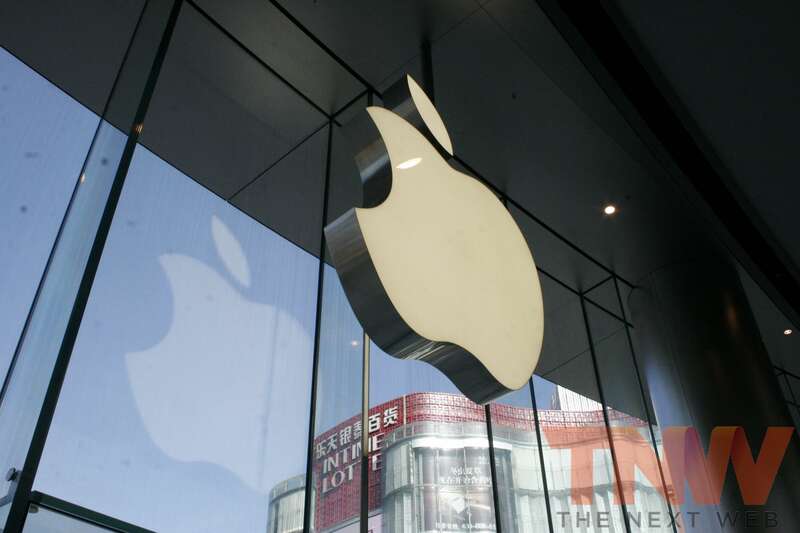 “Who could have believed what happened in China in 25 years, let alone what’s happened with Apple,” he said. 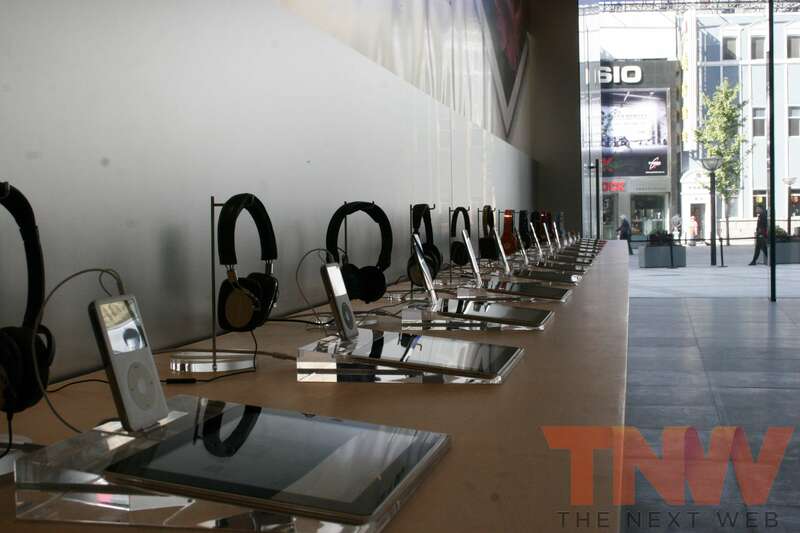 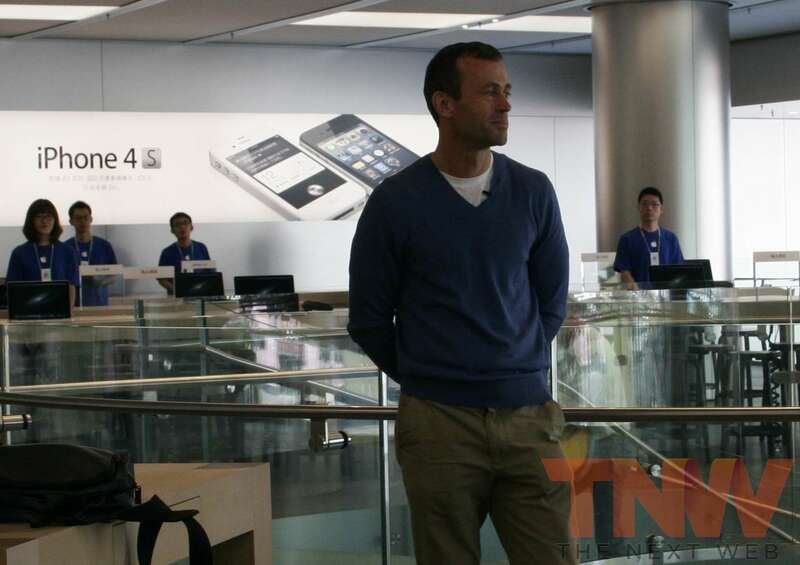 Browett went so far as to say that, in his opinion, the new location is the best store Apple has built in Asia so far. 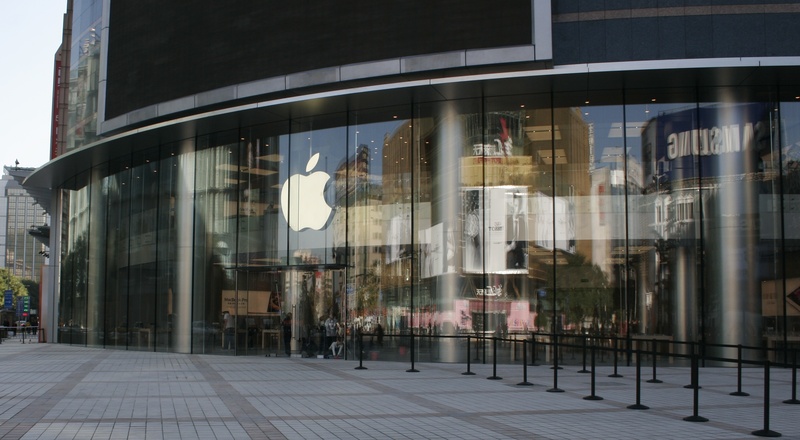 That would presumably take the unofficial title from the IFC Hong Kong store, which was Apple’s most expensive store to date when it opened last year. 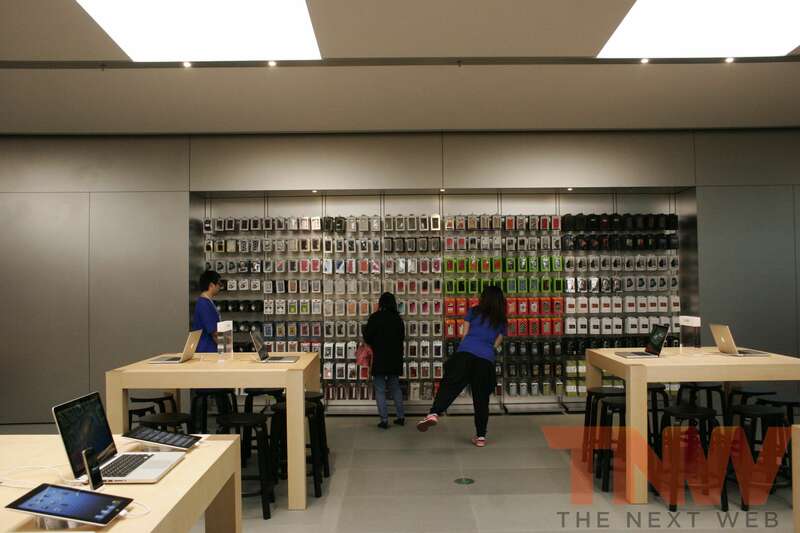 It also surpasses a Shanghai store that was formerly the largest in China. 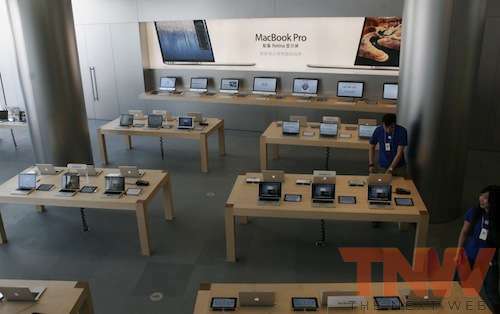 The Wangfujing store brings the total number of Apple Stores in China to six, while the company operates roughly 390 locations worldwide. 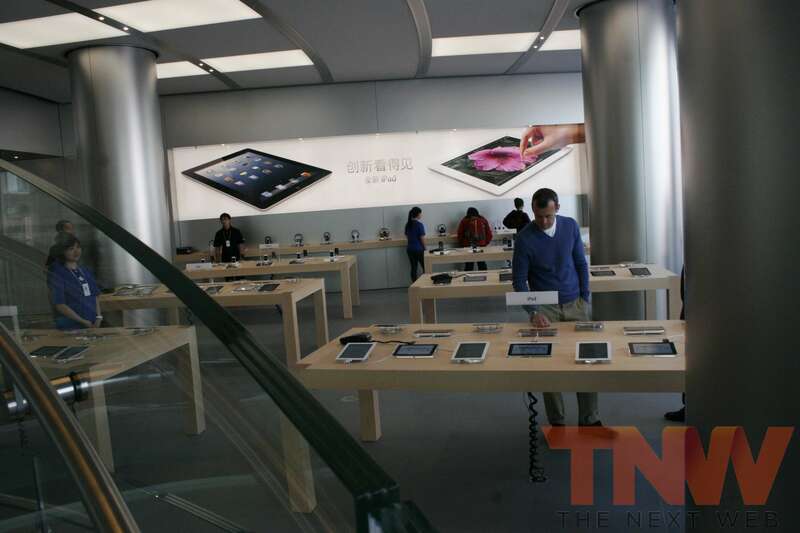 China is getting another store relatively soon, as Browett confirmed on Thursday the upcoming opening of a location in Shenzhen. 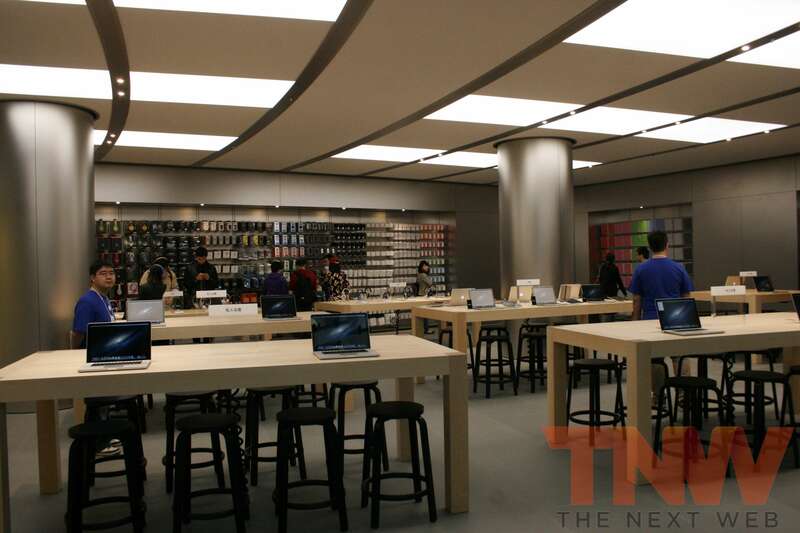 Media reports leaked out earlier this week showing workers installing lights and tables for the new store. 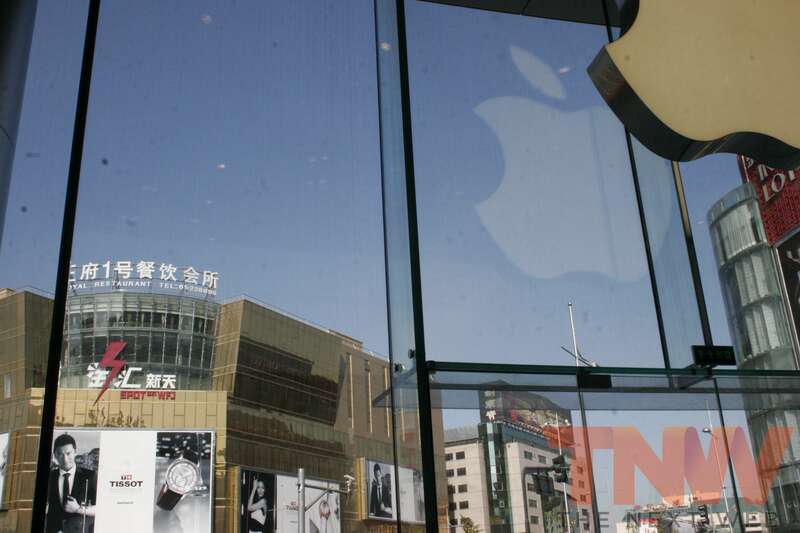 Apple says it is staffing the Wangufjing location with 300 retail employees, bringing the total number in Beijing to more than 800. 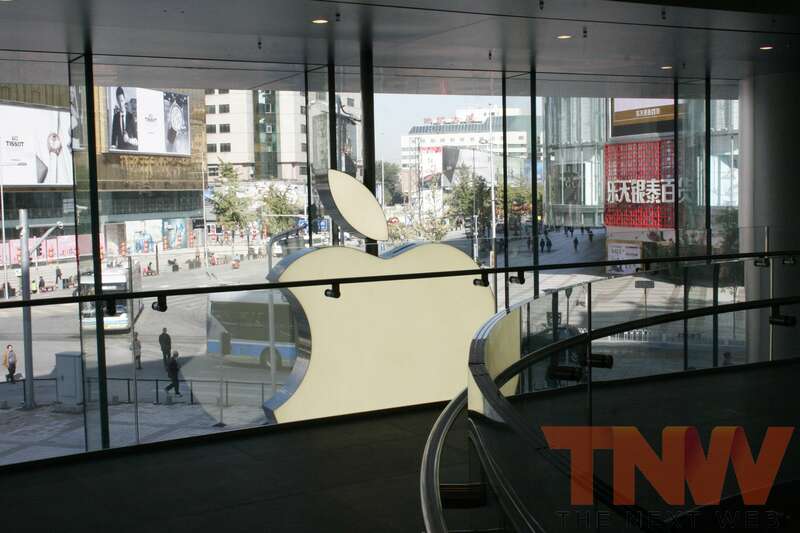 The company opened up a store in the Sanlitun area as its first in China back in 2008 and it opened a second Beijing location in Xidan in 2010. 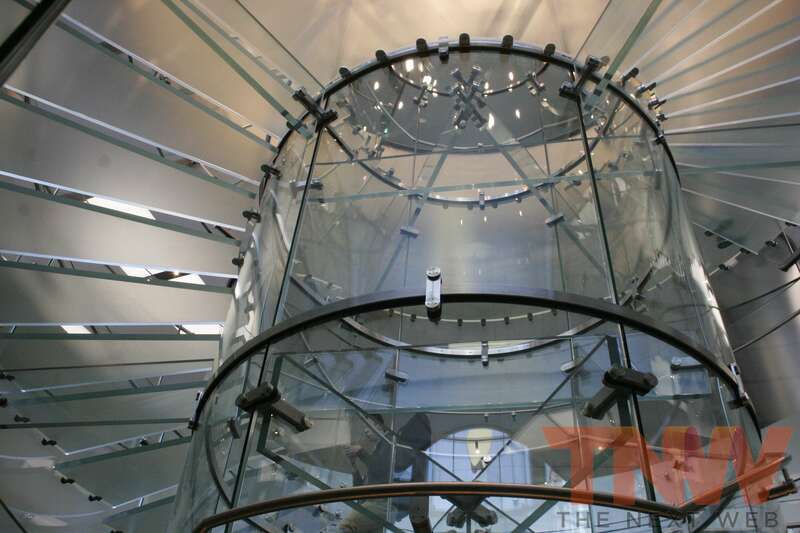 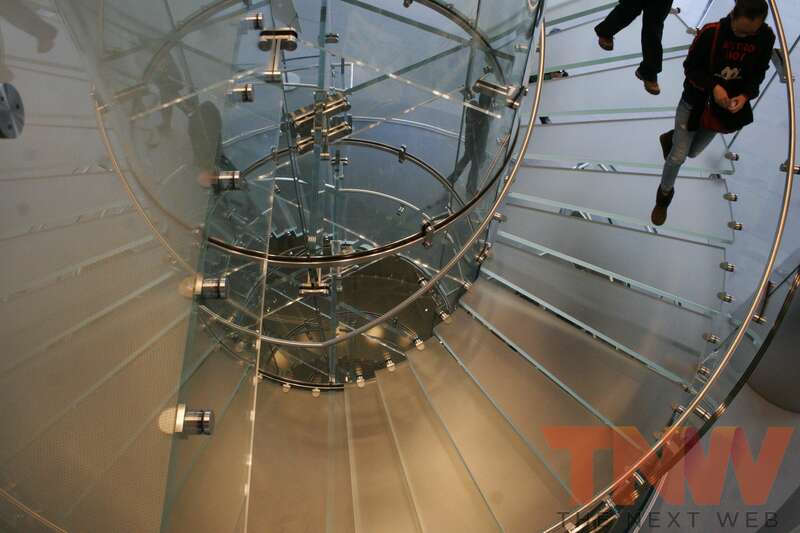 Apple Store aficionados (hey, I’m sure some of you are out there) should take note that the Wangfujing location has one of Apple’s three triple-height glass staircases, the first in Asia. 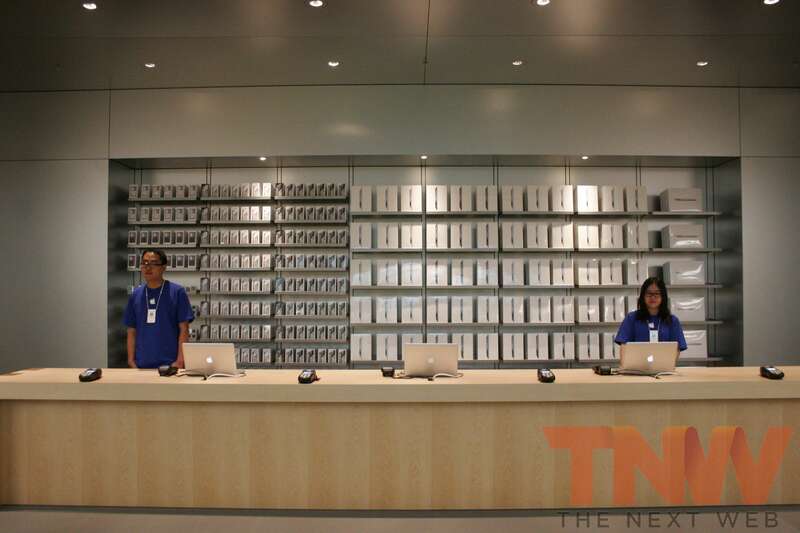 Also a first in Asia, the location has two 360-degree Genius Bars, allowing customers to stand next to their technicians rather than across from them. 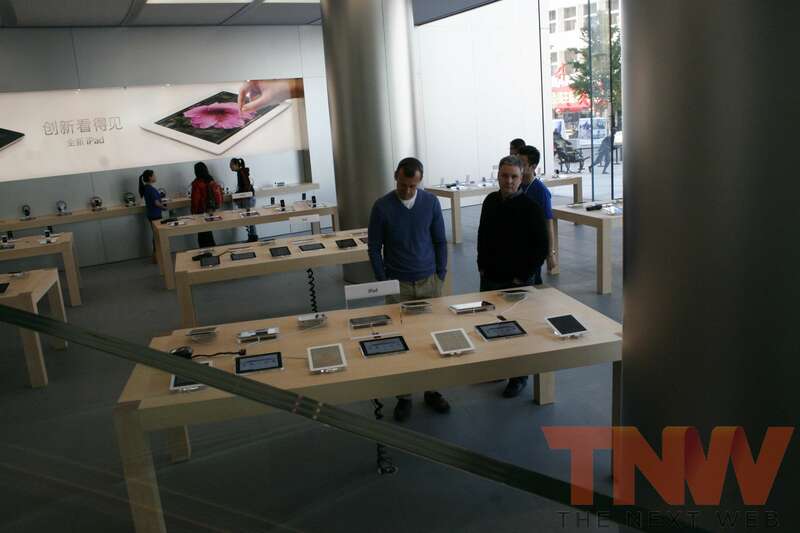 The store has space for training on both the second floor and the basement to accommodate demand. 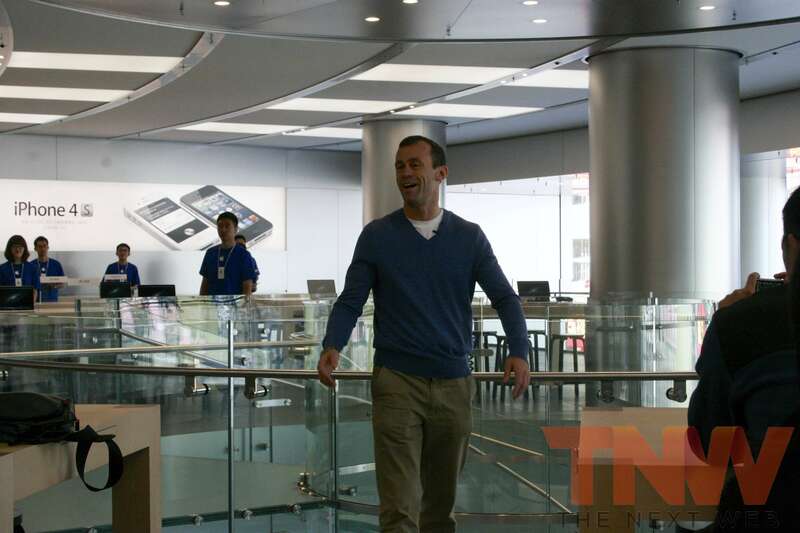 Browett says Apple’s one-to-one service plan has done well in the Chinese market. 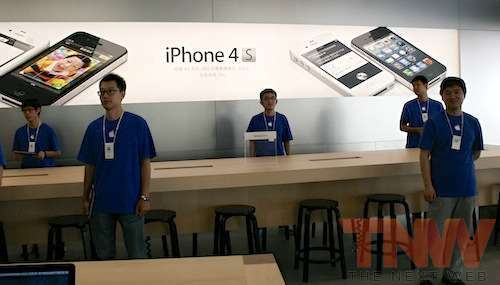 “Training in China is very, very popular because this is the first time that people are using these devices,” he said.